As one may expect, the limelight is on the Xeon Scalable processors. These supersede the Skylake-based platform that was released two years ago. 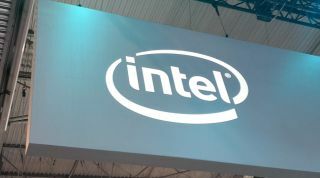 Intel claims there are more than 50 new chips in the family, going from single-socket, eight-core models, all the way to 56-core monster chips with two CPU dice and 12 memory channels powered by 400W. The majority of these chips support the Optane persistent memory (also released). These are your normal DIMMs, with the twist of having Optane memory take place of the DDR4. According to Intel, this allows for up to 4.5TB of memory per socket. Then, there are the Xeon D processors, designed primarily for network applications. Chips aside, there are quite a few non-CPU products, as well. There’s the Optane SSD DC D4800X with two U.2 ports. Intel hopes this will increase overall availability. Then, there’s the SSD D5-P4326 in EDSFF "ruler" form factor. The company topped things off with its first home-grown FPGAs, called the Agilex series. They are also the only ones announced that won’t be making it to the market before the third quarter of the year.